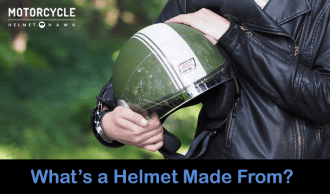 Helmets that are fashioned or made according to your own specifications are known as bespoke or custom motorcycle helmets. 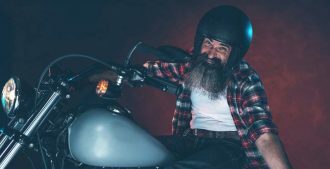 Although there are many different types of motorcycle helmets available in the market, sometimes we do need to find a solution to suit our own specific tastes. 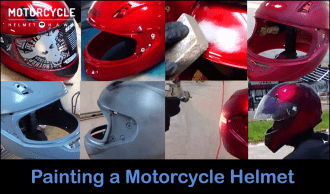 Hence, hundreds of companies offer motorcycle helmets, but few companies offer full customization options. This is where Blaze Artworks Studio is a very good place to start. They are UK’s leading custom motorcycle and helmet airbrushing studio established by airbrush artist buddy of mine Paul Vaslov in 2003. Fortunately they do ship these beauties globally at pretty good rates. 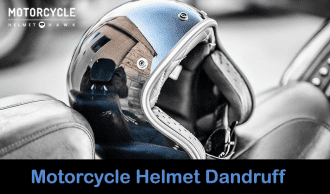 If you are looking for a custom helmet (and here are lots of helmet types, designs and brands to choose from) you will surely have your hands full finding your own special design. Different designs offer different levels of styling and comfort. 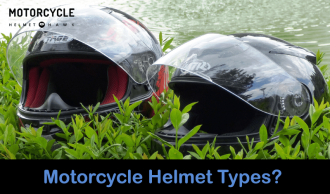 There are different types of motorcycle helmets available for different riders. 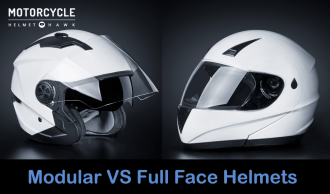 The full face helmet is one of the most common helmets. 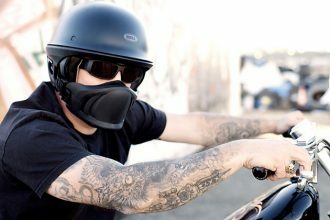 This helmet covers the head and provides protection to the rider. A rear extension of this helmet covers the base of the skull while the front extension protects the chin. A plastic shield allows protection to the eyes and nose and can be pushed up to provide contact with the face. 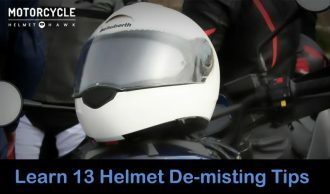 Riders are known to experience heat and reduced hearing while using the full face helmet. Styling is one of the reasons many people would want to have custom helmets instead of the standard full face. They still meet the same quality as the standard headgear will. They still offer a wide viewing area, light weight construction, auto darkening lens functionality and loads of comfort. 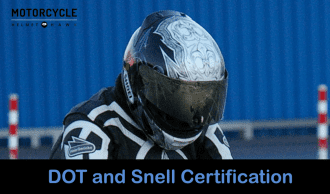 No matter your choice, ensure that your helmet can provide you a level of protection and safety required by motorcycle laws. What Customizing Options are Available? 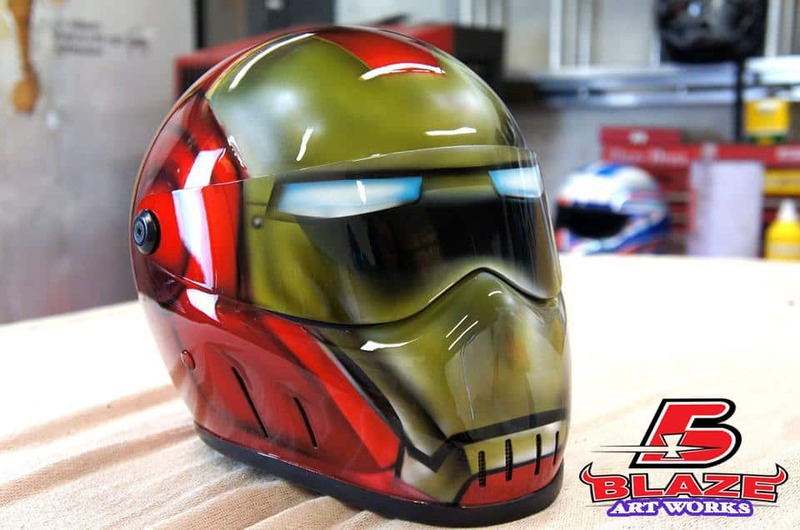 Airbrushing and painting remain the two major ways in which studios customize their helmets. 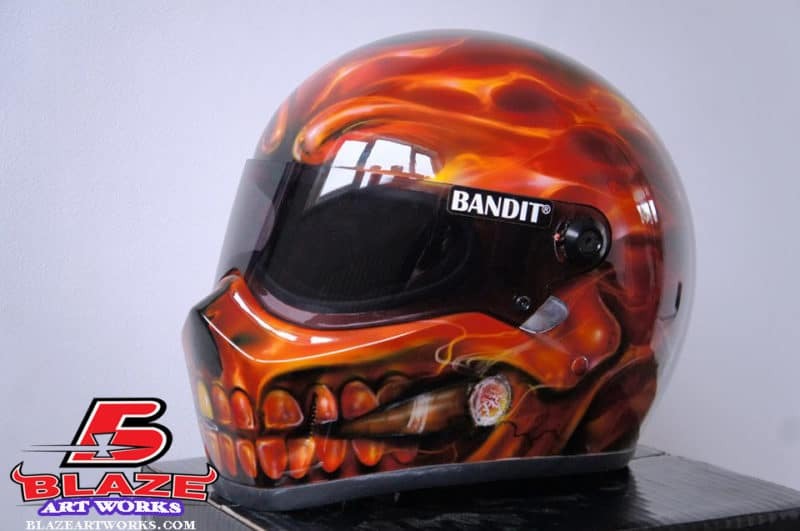 All types of helmets can be customized, ranging from open face to full face helmets. The range of custom patterns and hand painted finishes are genuine work of arts. You’ll find they won’t be thrown about in the workshop to often. These guys can put anything on your helmet. Artworks may include matrix, bandits, skull designs, flames, sharks, grim reapers and so on, but with custom finishes, you can select from a wide range of artwork or you can make your own. 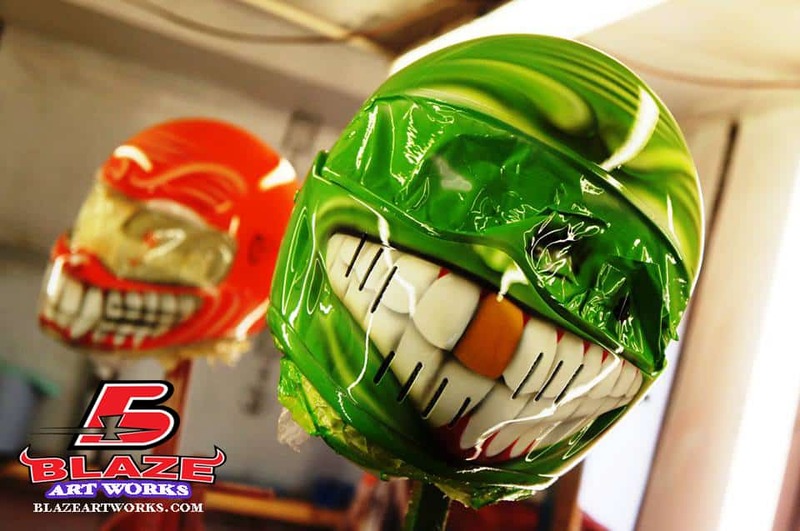 If you genuinely want to be as distinctive as you can, getting you very own truly customized helmet paint job will make you stand out. 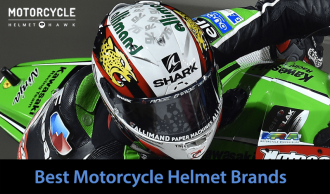 Sticking with one of the popular and reputable manufacturers and getting your helmet customized means you get a quality helmet that meets all safety principles, long-lasting and comfy and is simple stunning to look at. Paul does awesome work. 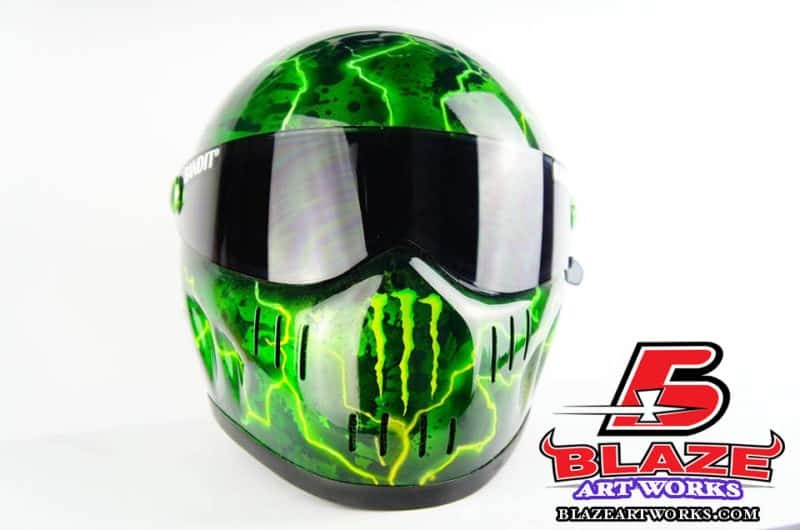 They are a top custom helmet airbrushing studio drawing from over a decade of industry know-how and from working on large variety of projects. 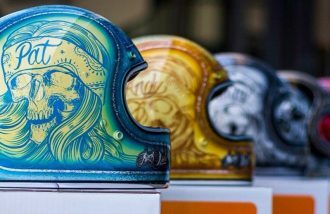 They use bespoke design, airbrushing and custom painting to add that element of intrigue to a motorcycle and/or a helmet. If fact they can enhance any item of your choice. 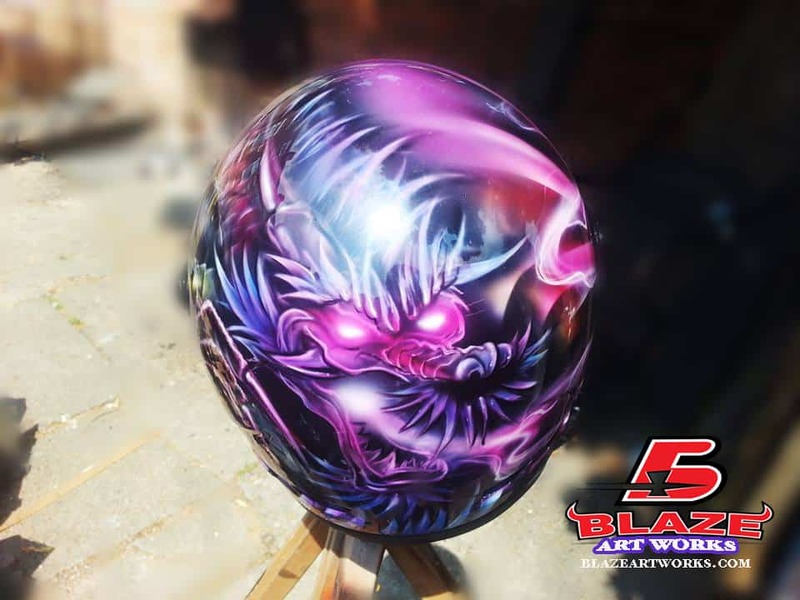 They offer different types of designs ranging from minor artwork to detailed and elaborate work like graphics, flames, ghost effects, metal flake and much more. They provide discounts for high quality, customized airbrushing. 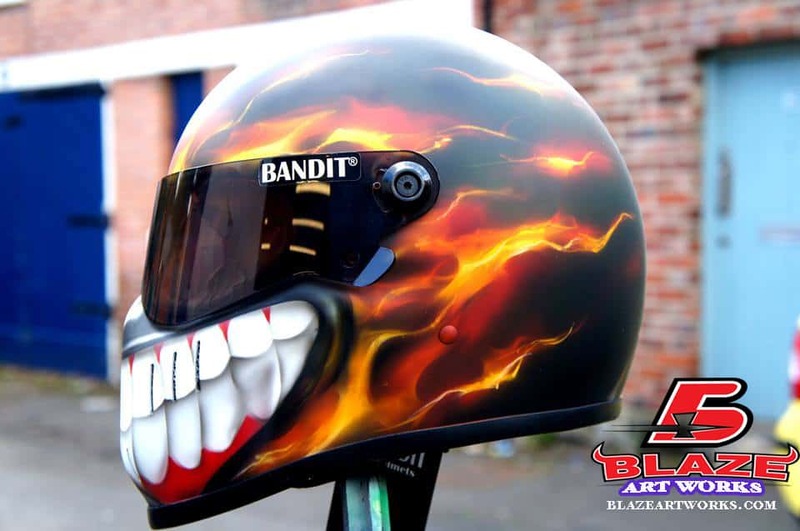 In every design, Blaze art never fail to incorporate possible high-end technology feature to make their helmets stand out without compromising the designs. But what’s it about blaze art that most riders go for? Believe it or not, most riders or cyclists choose their helmet based on the designs or how it would look when they wear them. Blaze art knows that this is a vital fact and that is why the company has a wide catalogue of designs for riders to choose from. You can also send in your own designs, photos, ideas or drawings and ask them to create a unique design for you. If you want to know more about what Blaze art offers, visit the website at www.blazeartworks.com/shop and check out the range. And while your their get yourself an outstanding custom helmet.